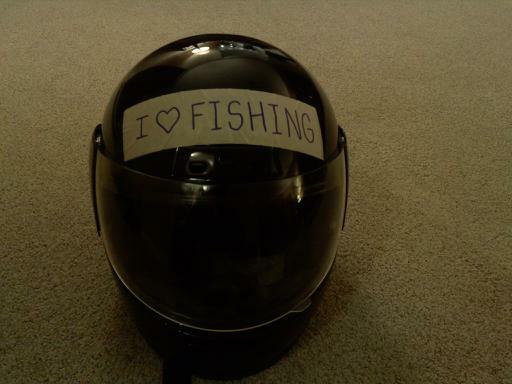 Snowmobile helmet. Of course. Couldn't resist having one. It had some lame logo on it so I made a modification. #3792, "RE: New boat accessory"
#3794, "RE: New boat accessory"
Bass + Fisherman= BAASS ADDICTT!! !